"...allowing our experiences and analysis to be added to the forum that will constitute public opinion could help halt the disastrous trend toward building more fortresses of fear which will become in the 21st century this generation's monuments to failure." 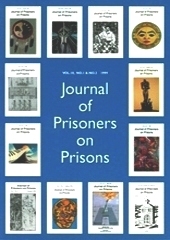 For 30 years, the Journal of Prisoners on Prisons (JPP) has been a prisoner written, academically oriented and peer reviewed, non-profit journal, based on the tradition of the penal press. It brings the knowledge produced by prison writers together with academic arguments to enlighten public discourse about the current state of carceral institutions. This is particularly important because with few exceptions, definitions of deviance and constructions of those participating in these defined acts are incompletely created by social scientists, media representatives, politicians and those in the legal community. These analyses most often promote self-serving interests, omit the voices of those most affected, and facilitate repressive and reactionary penal policies and practices. As a result, the JPP attempts to acknowledge the accounts, experiences, and criticisms of the criminalized by providing an educational forum that allows women and men to participate in the development of research that concerns them directly. In an age where `crime` has become lucrative and exploitable, the JPP exists as an important alternate source of information that competes with popularly held stereotypes and misconceptions about those who are currently, or those who have in the past, faced the deprivation of liberty. VOLUME 27, NUMBER 1 (2018) is a general issue edited by Justin Piché and Kevin Walby featuring several articles examining aging, suffering and death behind the walls. Click on the first link below to download the introduction to the issue and individual articles from a section dedicated to "Continuing the Dialogue on Canada's Federal Penitentiary System" edited by Jarrod Shook, along with Prisoners' Struggles pieces and a book review. Click on the second link below to order a printed copy of the full issue through the University of Ottawa Press, which will be available online from cover-to-cover in January 2019. Purchase Issue via University of Ottawa Press website. VOLUME 27, NUMBER 2 (2018) is a special issue marking the 20th anniversary of Convict Criminology (CC) edited by Andreas Aresti and Sacha Darke. Drawing on auto-ethnographic, action research and other approaches to qualitative inquiry, the collection features contributions on a variety of topics, including the criminalization of women, the place of current and former prisoners in advocacy work concerning 'criminal justice', the role higher education can play in carceral settings, theorizing the experience of freedom and the deprivation of liberty, pushing the boundaries of CC through abolitionism and its internationalisation. To subscribe to the journal, which allows us to sustain the publication and send issues to prisoners, please visit the University of Ottawa Press website. The JPP is currently accepting submissions for VOLUME 28 (2019), which will include at least one general issue. For more details, please download our submission guidelines.